The present proposal concerns the signature and provisional application of the Framework Agreement between the European Union and its Member States, on the one part and Australia, on the other part (‘the Agreement’). On 10 October 2011, the Council adopted a Decision authorising the European Commission and the High Representative of the Union for Foreign Affairs and Security Policy to negotiate a Framework Agreement between the European Union and its Member States, of the one part, and Australia, of the other part. Negotiations began in December 2011 and were successfully concluded with the initialling of the Agreement on 5 March 2015. This Agreement, similarly to those concluded by the EU with partner countries, includes binding political clauses based on the shared values of the two Parties. Accordingly, the EU and Australia declare their commitments in areas including human rights, non-proliferation and the fight against terrorism. These clauses are fully in line with the standard clauses found in similar agreements. Respect for human rights and democratic principles, and for international law and the principles set out in the Charter of the United Nations constitute the basis for cooperation under the Agreement. The Agreement also covers cooperation on economic and trade matters, including dialogues on economic, trade and investment related areas, agricultural trade, sanitary and phytosanitary issues and other sectoral issues. The Agreement equally includes cooperation in a broad range of policy areas such as health, the environment, climate change, energy, education, culture, labour, disaster management, fisheries and maritime affairs, transport, legal cooperation, money laundering and terrorist financing, organised crime and corruption. The Agreement contributes significantly to the improvement of the partnership between the EU and Australia, a partnership which is based on joint values and principles, including respect for democratic principles, human rights and fundamental freedoms, the rule of law, international peace and security. In accordance with the EU’s Common approach on the use of political clauses, in cases of particularly serious and substantial violation of the essential elements of the Agreement, the Agreement may be suspended or terminated, and other appropriate measures affecting other agreements may be taken in accordance with the rights and obligations of the Parties under such agreements. The attached joint proposal constitutes the legal instrument for the signature and provisional application of the Agreement. The choice of legal basis for the signing of the Agreement must rest on objective factors amenable to judicial review, which include the aim and content of the measure. The purpose of this Agreement is ‘to establish a strengthened Partnership between the Parties; to provide a framework to facilitate and promote cooperation across a broad range of areas of mutual interest; and to enhance cooperation to develop solutions to regional and global challenges’ (Article 1 of the Agreement). - sectoral cooperation, including in the areas of research and innovation, education and culture, migration, counter terrorism, the fight against organised crime and cybercrime and judicial cooperation and intellectual property. As such, the Agreement is composed of the following titles: Purpose and Basis of the Agreement (Title I), Political Dialogue and Cooperation on Foreign Policy and Security Matters (Title II), Cooperation on Global Development and Humanitarian Aid (Title III), Cooperation on Economic and Trade Matters (Title IV), Cooperation on Justice, Freedom and Security (Title V), Cooperation in the areas of Research, Innovation and the Information Society (Title VI), Cooperation in the area of Education and Culture (Title VII), Cooperation in the area of Sustainable Development, Energy and Transport (Title VIII), Institutional Framework (Title IX) and Final Provisions (Title X). The provisions set out in the Agreement, in view of both their aim and content, fall within the scope of Article 37 of the Treaty on European Union and Articles 207 and 212 of the Treaty on the Functioning of the European Union. The Agreement establishes a Joint Committee, the objective of which is to monitor the development of the bilateral relationship between the Parties. The Agreement provides for the possibility of suspending its application in the case of a violation of essential elements. Pending its entry into force, certain parts of the Agreement, as mutually determined by the EU and Australia, will be provisionally applied in accordance with Article 61 of the Agreement. The scope of the provisional application is without prejudice to the division of competencies between the Union and its Member States as laid down in the Treaties. The date of provisional application will be published in the Official Journal of the European Union. The Agreement will extend upon and replace the EU-Australia Partnership Framework adopted in 2008. It will create a coherent, legally binding overall framework for the EU’s relations with Australia. All existing sector specific agreements remain in place. 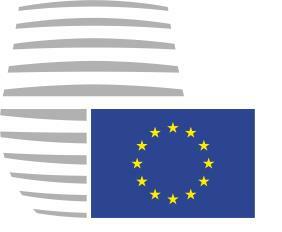 The European External Action Service and the Commission services have been involved in the negotiating process. Member States have been consulted throughout the negotiating process at meetings of the relevant Council Working Parties. On 25 February 2014, the Permanent Representatives Committee endorsed the text of the Framework Agreement. The European Parliament has been kept regularly informed throughout the negotiations. The High Representative and the Commission consider that the objectives set by the Council in its directives on the negotiation of the Agreement have been met and that the draft Agreement can be submitted for signature and provisional application. (1)On 10 October 2011, the Council authorised the Commission and the High Representative to open negotiations with Australia on a Framework Agreement to replace the EU-Australia Partnership Framework of 2008. (2)The negotiations on the Framework Agreement (‘the Agreement’) were successfully concluded on 5 March 2015. The Agreement reflects both the historically close relationship and increasingly strong links developing between the Parties, and their desire to further strengthen and extend their relations in an ambitious and innovative way. (3)Article 61 of the Agreement provides that the EU and Australia may provisionally apply certain provisions of the Agreement, determined mutually by the two Parties, pending its entry into force. The signing of the Framework Agreement between the European Union and its Member States, of the one part, and Australia, of the other part, is hereby approved on behalf of the Union, subject to the conclusion of the said Agreement. The text of the Agreement is annexed to this Decision. –Title X 'Final Provisions' (with the exception of paragraphs 1 and 3 of Article 61), to the extent necessary for the purpose of ensuring the provisional application of the parts of Articles 3, 10 and 56 of the Agreement. 2. The date from which the parts of the Agreement shall be provisionally applied shall be published in the Official Journal of the European Union by the Council Secretariat General. The Council Secretariat General shall establish the instrument of full powers to sign the Agreement, subject to its conclusion, for the person(s) indicated by the negotiators of the Agreement. NOTING that in case the Parties decide, within the framework of this Agreement, to enter into specific agreements in the area of freedom, security and justice which were to be concluded by the Union pursuant to Title V of Part Three of the Treaty on the Functioning of the European Union, the provisions of such future agreements would not bind the United Kingdom and/or Ireland unless the Union, simultaneously with the United Kingdom and/or Ireland as regards their respective previous bilateral relations, notifies Australia that the United Kingdom and/or Ireland has/have become bound by such agreements as part of the Union in accordance with Protocol (No 21) on the position of the United Kingdom and Ireland in respect of the area of freedom, security and justice annexed to the Treaty on European Union and the Treaty on the Functioning of the European Union. Likewise, any subsequent Union internal measures which were to be adopted pursuant to the above mentioned Title V to implement this Agreement would not bind the United Kingdom and/or Ireland unless they have notified their wish to take part or accept such measures in accordance with Protocol No 21. Also noting that such future agreements or such subsequent Union internal measures would fall within Protocol (No 22) on the position of Denmark annexed to the said Treaties. (c) enhance cooperation in order to develop solutions to regional and global challenges. 2. In this context, the Parties affirm their commitment to intensifying high-level political dialogue, and reaffirm the shared values and common principles that underpin their bilateral relations and form a basis for cooperation. 1. The Parties agree to strengthen their strategic relationship and intensify cooperation at the bilateral, regional and global levels, on the basis of shared values and common interests. 2. The Parties confirm their commitment to democratic principles, human rights and fundamental freedoms and the rule of law. Respect for democratic principles and human rights and fundamental freedoms as laid down in the Universal Declaration of Human Rights, as given expression in the International Covenant on Civil and Political Rights and the International Covenant on Economic, Social and Cultural Rights, and other international human rights instruments which the Parties have ratified or acceded to, and for the principle of the rule of law, underpins the domestic and international policies of the Parties and constitutes an essential element of this Agreement. 3. The parties confirm their strong support for the UN Charter and the shared values expressed therein. 4. The Parties reaffirm their commitment to promoting sustainable development and economic growth, contributing to the attainment of internationally agreed development goals and cooperating to address global environmental challenges, including climate change. 5. The Parties emphasise their shared commitment to the comprehensive nature of their bilateral relationship and to maintaining overall coherence in this regard, on the basis of this Agreement. 6. The implementation of this Agreement shall be based on the principles of dialogue, mutual respect, equal partnership, consensus and respect for international law. 1. The Parties agree to enhance their regular political dialogue. (b) strengthen the Parties' common approaches and identify scope for cooperation on regional and global challenges and issues. (e) exchanges of delegations and other contacts between the Parliament of Australia and the European Parliament. (c) foster participation in each other's efforts to promote democracy, including through establishing arrangements to facilitate participation in election observation missions. 1. The Parties reaffirm their commitment to cooperate in promoting international peace and stability. 2. To this end, they shall explore possibilities to coordinate crisis management activities, including possible cooperation in crisis management operations. 1. The Parties consider that the proliferation of weapons of mass destruction ('WMD') and their means of delivery, both to State and non-State actors, represents one of the most serious threats to international stability and security. 2. The Parties agree to cooperate in and contribute towards countering the proliferation of WMD and their means of delivery through full implementation of their existing obligations under international disarmament and non-proliferation treaties and agreements and other relevant agreements ratified or acceded to by the Parties. The Parties agree that this provision constitutes an essential element of this Agreement. (f) exchanging relevant information on measures taken under this Article, where appropriate and in accordance with their respective competences. 4. The Parties agree to maintain a regular political dialogue that shall accompany and consolidate these elements. 1. The Parties recognise that the illicit manufacture, transfer and circulation of small arms and light weapons ('SALW'), and their ammunition, and their excessive accumulation, poor management, inadequately secured stockpiles and uncontrolled spread continue to pose a serious threat to international peace and security. 2. The Parties agree to observe and fully implement their respective obligations to deal with the illicit trade in SALW and their ammunition, under existing international agreements ratified or acceded to by Australia and either the Union and/or the Member States, in accordance with their competences and UN Security Council resolutions. 3. The Parties recognise the importance of domestic control systems for the transfer of conventional arms in line with existing international standards. The Parties recognise the importance of applying such controls in a responsible manner, as a contribution to international and regional peace, security and stability and to the reduction of human suffering, as well as preventing the diversion of conventional weapons. 4. The Parties undertake in this regard to endeavour to fully implement the Arms Trade Treaty and to cooperate with each other within the framework of the Treaty, including in promoting the universalisation and full implementation of the Treaty by all UN Member States. 5. The Parties undertake to cooperate and to ensure coordination, complementarity and synergy in their efforts to deal with the illicit trade in SALW and their ammunition, at a global, regional, subregional and national level, to ensure the effective implementation of arms embargoes decided by the UN Security Council in accordance with the UN Charter. 1. The Parties reaffirm that the most serious crimes of concern to the international community as a whole must not go unpunished and that their effective prosecution should be ensured by measures at either the domestic or the international level, including through the International Criminal Court. (c) safeguard the integrity of the Rome Statute by protecting its core principles, including by abstaining from entering into non-surrender agreements (also known as 'Article 98 agreements') with third States and encouraging others to also abstain. 1. The Parties reaffirm the importance of the prevention of, and fight against, terrorism in full respect for the rule of law and human rights and in accordance with applicable international law, including the UN Charter, international terrorism conventions, and relevant UN Security Council Resolutions, refugee law and international humanitarian law. (g) exchanging best practices with regard to the protection of human rights in the fight against terrorism. 3. The Parties reaffirm their commitment to work together, where appropriate, to provide counter-terrorism capacity-building assistance to other states that require resources and expertise to prevent and respond to terrorist activity. 4. The Parties agree to cooperate closely in the framework of the Global Counter-Terrorism Forum and its working groups. 5. The Parties agree to maintain a regular dialogue at officials level on counter-terrorism. The Parties undertake to cooperate by exchanging views and, where appropriate, coordinating positions in international and regional organisations and fora, including the UN and its specialised agencies, the World Trade Organization ('WTO'), the Group of Twenty ('G20'), the Financial Stability Board ('FSB'), the Organisation for Economic Cooperation and Development ('OECD'), the World Bank Group and regional development banks, the Asia-Europe Meeting ('ASEM'), the Organization for Security and Cooperation in Europe ('OSCE'), the ASEAN Regional Forum ('ARF'), the Pacific Islands Forum ('PIF') and the Secretariat of the Pacific Community. The Parties recognise the importance of cooperation and the exchange of views in the field of international security and cyberspace, including on norms of behaviour and the application of international law in cyberspace, the development of confidence building measures and capacitybuilding. 1. The Parties reaffirm their commitment to contributing to sustainable economic growth and poverty reduction, strengthening cooperation on international development and promoting aid and development effectiveness, with a particular focus on implementation at the country level. 2. The Parties recognise the value of working together to ensure that development activities have greater impact, reach and influence. (d) undertake delegated aid cooperation on each other's behalf, where appropriate, based on arrangements mutually determined by the Parties. The Parties reaffirm their common commitment to humanitarian aid and shall endeavour to offer coordinated responses as appropriate. The Parties agree to maintain the dialogue between their authorities and to promote the exchange of information and the sharing of experiences on respective macroeconomic policies and trends, including the exchange of information on coordination of economic policies in the context of regional economic cooperation and integration. 1. The Parties undertake to cooperate in securing the conditions for and promoting increased trade and investment between them. 2. The Parties are committed to a high-level dialogue and cooperation in trade- and investmentrelated areas in order to facilitate bilateral trade and investment flows, to prevent and remove nontariffrelated obstacles to trade and investment, to improve transparency and to advance the multilateral trading system. 4. The Parties shall keep each other informed and exchange views concerning the development of bilateral and international trade, investment and trade- and investment-related aspects of other policies, including regulatory issues with a potential impact on bilateral trade and investment. 5. The Parties shall exchange information on their policy approaches to free trade agreements (FTAs) and respective FTA agendas. This Agreement neither requires nor precludes the negotiation and conclusion of an FTA between the Parties in the future to complement and extend the economic provisions in this Agreement. 6. Recognising the value of trade liberalisation as a driver of global economic growth and the importance of pursuing this through a rules-based multilateral trading system, the Parties affirm their commitment to work together within the WTO to achieve further trade liberalisation. (c) fostering stable, transparent, non-discriminatory and open rules for investors, without prejudice to the Parties' commitments under preferential trade agreements and other international obligations. 1. The Parties reaffirm their commitment to open and transparent public procurement frameworks which, consistent with their international obligations, promote value for money, competitive markets and non-discriminatory purchasing practices, and thus enhance trade between the Parties. 2. The Parties agree to further strengthen their consultation, cooperation and exchanges of experience and best practices in the area of public procurement on issues of mutual interest, including on their respective regulatory frameworks. 3. The Parties agree to explore ways to further promote access to each other's procurement markets and to exchange views on measures and practices which could adversely affect procurement trade between them. 1. The Parties share the view that greater compatibility of standards, technical regulations and conformity assessment procedures is a key element for facilitating trade. 2. The Parties recognise their mutual interest in reducing technical barriers to trade and to this end agree to cooperate within the framework of the WTO Agreement on Technical Barriers to Trade and through the Agreement on mutual recognition in relation to conformity assessments, certificates and markings between the European Community and Australia. 1. The Parties agree to strengthen cooperation on sanitary and phytosanitary ('SPS') issues to protect human, animal or plant life or health in the territory of the Parties, noting the Parties' rights and obligations under the WTO Agreement on the Application of Sanitary and Phytosanitary Measures (the 'SPS Agreement'). (d) exchanging information about SPS and animal welfare issues that affect or may affect trade between the Parties, such as emergency measures, emerging diseases and pests, and new available scientific evidence. 3. The Parties agree to cooperate and share information on animal welfare issues. 4. The Parties shall also cooperate on SPS and animal welfare issues through relevant multilateral frameworks, including the WTO, the Codex Alimentarius Commission, the IPPC and the OIE. The Parties shall, subject to their respective legislation, cooperate in the customs field on a bilateral and multilateral basis. To this end, they agree in particular to share experiences and examine possibilities to simplify customs procedures, ensure transparency and enhance cooperation in areas such as trade facilitation, security and safety of international trade and combating customs fraud. 1. The Parties reaffirm the importance of their rights and obligations in relation to intellectual property rights, including copyright and related rights, trademarks, geographical indications, industrial designs, plant variety rights and patents, and their enforcement, in accordance with the highest international standards that each Party respectively adheres to. 2. The Parties agree to exchange information and share experience on intellectual property issues relating to the administration, protection and enforcement of intellectual property rights through appropriate forms of cooperation. The Parties shall promote competition in economic activities through enforcing their respective competition laws and regulations. The Parties agree to share information on competition policy and related issues and to enhance cooperation between their competition authorities. The Parties shall establish a substantive dialogue aimed at promoting bilateral trade in services and exchanging information on their respective regulatory environments. As regards financial services, the Parties agree to maintain an exchange of information and experiences on their respective supervisory and regulatory environments, and strengthen cooperation with a view to improving accounting, auditing, supervisory and regulatory systems for banking, insurance and other parts of the financial sector. 1. With a view to strengthening and developing economic activities while taking into account the need for an appropriate regulatory framework, the Parties recognise and commit themselves to implementing the principles of good governance in the area of tax, including transparency, exchange of information and the avoidance of harmful tax practices. 2. In accordance with their respective competences, the Parties shall work together, including through appropriate international fora, to improve international cooperation in the area of tax and facilitate the collection of legitimate tax revenues, respecting the principles of good governance mentioned in paragraph 1. The Parties recognise the importance of transparency and due process in the administration of their trade-related laws and regulations as set out in Article X of the General Agreement on Tariffs and Trade ('GATT 1994') and Article III of the General Agreement on Trade in Services ('GATS'), and to this end they agree to enhance cooperation and exchange information in order to promote regulatory quality and performance and the principles of good administrative behaviour. 1. The Parties recognise that a transparent, market-based approach is the best way to create an environment favourable to investment in the production and trade of raw materials, and to foster the efficient allocation and use of raw materials. 2. The Parties, taking into account their respective economic policies and objectives and with a view to fostering trade, agree to strengthen cooperation on issues related to raw materials with a view to strengthening a rules-based global framework for trade in raw materials and to promote transparency in global markets for raw materials. (c) best practices in relation to sustainable development of the mining industries, including minerals policy, land use planning and permitting procedures. 4. The Parties will cooperate through bilateral dialogue or within relevant plurilateral settings or international institutions. 1. The Parties reaffirm their commitment to promoting the development of international trade and investment in such a way as to contribute to the objective of sustainable development and shall strive to ensure that this objective is realised in the relevant areas of their economic relationship. 2. The Parties recognise the right of each Party to establish its own levels of domestic environmental and labour protection, and to adopt or modify its relevant laws and policies, consistent with their commitment to internationally recognised standards and agreements. 3. The Parties also recognise that they should avoid encouraging trade or investment by lowering or offering to lower the levels of protection afforded in domestic environmental or labour laws. 4. The Parties shall exchange information and share experience on their actions to promote coherence and mutual supportiveness between trade, social and environmental objectives, including on the aspects set out in Title VIII, and shall strengthen dialogue and cooperation on sustainable development issues that may arise in the context of trade relations. 1. The Parties shall encourage stronger business-to-business linkages and enhance governmentbusiness linkages through two-way visits and activities involving business, including in the ASEM context. (d) developing the existing cooperation on standards and conformity assessment. 3. The Parties agree to facilitate and develop dialogue and cooperation between their competent trade and investment promotion agencies. The Parties shall encourage dialogue between governmental and non-governmental organisations, such as trade unions, employers, business associations and chambers of commerce and industry, with a view to promoting trade and investment in areas of mutual interest. Recognising the value of tourism in deepening mutual understanding and appreciation between the peoples of the Union and Australia and the economic benefits flowing from increased tourism, the Parties agree to cooperate with a view to increasing tourism in both directions between the Union and Australia. 1. The Parties recognise the importance of private international law and legal and judicial cooperation in civil and commercial matters in supporting an environment which facilitates international trade and investment and the mobility of people. The Parties agree to strengthen their cooperation, including through the negotiation, ratification and implementation of international agreements, such as those adopted in the framework of the Hague Conference on Private International Law. 2. The Parties agree to facilitate and encourage the arbitral resolution of international civil and private commercial disputes, where appropriate, in accordance with the applicable international instruments. 3. As regards judicial cooperation in criminal matters, the Parties shall enhance cooperation on mutual legal assistance, on the basis of relevant international instruments. This would include, where appropriate, accession to and implementation of relevant UN instruments. It may also include, where appropriate, support for relevant Council of Europe instruments, as well as cooperation between relevant Australian authorities and Eurojust. The Parties agree to cooperate among law enforcement authorities, agencies and services and to contribute to disrupting and dismantling transnational crime threats common to the Parties. This cooperation may take the form of mutual assistance in investigations, sharing of investigation techniques, joint education and training of law enforcement personnel and any other type of joint activities and assistance as may be mutually determined by the Parties. 1. The Parties agree to cooperate in the prevention and suppression of terrorism as set out in Article 9. 2. The Parties reaffirm their commitment to cooperate in preventing and combating organised, economic and financial crime, corruption, counterfeiting and illegal transactions, through full compliance with their existing mutual international obligations in this area including on effective cooperation in the recovery of assets or funds derived from acts of corruption. 3. In the context of preventing, detecting, investigating and prosecuting terrorist offences or serious transnational crime, the Parties acknowledge the importance of the Agreement between the European Union and Australia on the processing and transfer of Passenger Name Records (PNR) data by air carriers to the Australian Customs and Border Protection Service. 4. The Parties shall promote the implementation of the UN Convention against Transnational Organized Crime and its supplementary Protocols, including the promotion of strong and efficient review mechanisms. 5. The Parties shall also promote the implementation of the UN Convention against Corruption, including the operation of a strong review mechanism, taking account of the principles of transparency and participation of civil society. 1. Within their respective powers and competences, the Parties shall cooperate to ensure a balanced and integrated approach towards minimising the harm to individuals, families and communities from illicit drugs. Drug policies and actions shall be aimed at reinforcing structures for combating illicit drugs, reducing the supply of, trafficking in, and demand for, illicit drugs, addressing the health and social consequences of drug abuse, building recovery from addiction, as well as continued cooperation in effectively combating the diversion of chemical precursors used in the illicit manufacture of narcotic drugs and psychotropic substances. 2. The Parties shall cooperate with a view to dismantling the transnational criminal networks involved in drug trafficking, inter alia, through the exchange of information and intelligence, training or the sharing of best practices, including special investigative techniques. A particular effort shall be made against the penetration of the licit economy by criminals. 3. The Parties shall cooperate in addressing the issue of new psychoactive substances, including through the exchange of information and intelligence, as appropriate. 1. The Parties shall strengthen cooperation to prevent and combat high-technology, cyber- and electronic crimes and the distribution of illegal content, including terrorist content, via the internet, through exchanging information and practical experiences in compliance with their national legislation and international human rights obligations, within the limits of their responsibility. 2. The Parties shall exchange information in the fields of the education and training of cybercrime investigators, the investigation of cybercrime and digital forensic science. 3. The Parties shall promote the Budapest Convention on Cybercrime as the global standard against cybercrime at all appropriate levels. 1. The Parties reaffirm the need to cooperate on preventing the use of their financial systems to launder the proceeds of all criminal activities, including drug trafficking and corruption, and on combating the financing of terrorism. This cooperation extends to the recovery of assets or funds derived from criminal activities. 2. The Parties shall exchange relevant information within the framework of their respective legislation and implement appropriate measures to combat money laundering and the financing of terrorism, in accordance with standards adopted by relevant international bodies active in this area, such as the Financial Action Task Force (FATF). 1. The Parties agree to intensify dialogue and cooperation on migration, asylum, participation and diversity issues. 2. Cooperation may include exchanging information on approaches to irregular immigration, people smuggling, trafficking in human beings, asylum, social and economic participation of migrants, border management, visas, biometrics and document security. (c) the Member States and Australia shall provide their nationals with appropriate identity documents for such purposes. 4. The Parties shall, upon request of either Party, explore the possibility of concluding an agreement between Australia and the European Union on readmission. This will include consideration of appropriate arrangements for the readmission of third-country nationals and stateless persons. 1. Australia agrees that the diplomatic and consular authorities of any represented Member State may exercise consular protection 1 in Australia on behalf of other Member States which do not have accessible permanent representation in Australia. 2. The Union and the Member States agree that the diplomatic and consular authorities of Australia may exercise consular protection on behalf of a third country and that third countries may exercise consular protection on behalf of Australia in the Union in places where Australia or the third country concerned do not have accessible permanent representation. 3. Paragraphs 1 and 2 are intended to dispense with any requirements for notification or consent which might otherwise apply. 4. The Parties agree to facilitate a dialogue on consular affairs between their respective competent authorities. 1. The Parties agree to cooperate with a view to ensuring that levels of protection of personal data are consistent with relevant international standards, including the OECD Guidelines on the Protection of Privacy and Transborder Flows of Personal Data. 2. Cooperation on protection of personal data may include, inter alia, the exchange of information and expertise. It may also include cooperation between regulatory counterparts in bodies such as the OECD's Working Party on Information Security and Privacy and the Global Privacy Enforcement Network. 1. The Parties agree to enhance their cooperation in the areas of science, research and innovation in support of, or complementary to, the Agreement relating to scientific and technical cooperation between the European Community and Australia. (d) explore the scope for Australia and the Union to work together to initiate and participate in wider regional and international research and innovation collaboration. 3. The Parties shall, according to their respective laws and regulations, encourage the participation of the private and public sectors and civil society within their own territory in activities to enhance cooperation. (c) strengthening researcher mobility between Australia and the Union. 1. Recognising that information and communication technologies are key elements of modern life and are of vital importance to economic and social development, the Parties agree to exchange views on their respective policies in this field. (e) exchanging views on measures to address the issue of international mobile roaming costs, including as a behind-the-border barrier to trade. 1. The Parties acknowledge the crucial contribution of education and training to the creation of quality jobs and sustainable growth for knowledge-based economies, and recognise that they have a common interest in cooperating in education, training and on related youth issues. (d) support for policy reform through dialogue, studies, conferences, seminars, working groups, benchmarking exercises and exchange of information and good practice, particularly in view of the Bologna and Copenhagen processes and Union transparency tools. 1. The Parties agree to promote closer cooperation in the cultural and creative sectors, in order to enhance, inter alia, mutual understanding and knowledge of their respective cultures. 2. The Parties shall endeavour to take appropriate measures to promote cultural exchanges and carry out joint initiatives in various cultural areas, using available cooperation instruments and frameworks. 3. The Parties shall endeavour to promote the mobility of culture professionals and works of art between Australia and the Union and its Member States. 4. The Parties shall encourage intercultural dialogue between civil society organisations as well as individuals from the Parties. 5. The Parties agree to cooperate, notably through policy dialogue, in relevant international fora, in particular the United Nations Education, Science and Culture Organization (UNESCO), in order to pursue common objectives and to foster cultural diversity, including through implementation of the UNESCO Convention on the Protection and Promotion of the Diversity of Cultural Expressions. 6. The Parties shall encourage, support and facilitate exchanges, cooperation and dialogue between institutions and professionals in the audiovisual and media fields. 7. The Parties agree to support cultural cooperation within the framework of the ASEM, in particular through the activities of the Asia-Europe Foundation ('ASEF'). 1. The Parties agree on the need to protect, conserve and sustainably manage natural resources and biological diversity, as a basis for the development of current and future generations. (vi) coastal and marine environment conservation and pollution and degradation control. (g) working together to achieve a robust and legally binding international climate agreement applicable to all countries. 2. To these ends, the Parties agree to maintain regular dialogue and cooperation at political, policy and technical levels, both bilaterally and in relevant plurilateral and multilateral fora. The Parties recognise the need to minimise the impact of natural and man-made disasters. The Parties affirm their common commitment to promoting prevention, mitigation, preparedness and response measures in order to increase the resilience of society and infrastructure, and to cooperating as appropriate, at bilateral and multilateral political levels to progress towards such objectives. (h) sharing best practices in energy exploration and production. 1. The Parties shall endeavour to cooperate in all relevant areas of transport policy, including integrated transport policy, with a view to improving the movement of goods and passengers, promoting maritime and aviation safety and security and environmental protection and increasing the efficiency of their transport systems. (f) cooperation within international transport fora. 1. The Parties agree to encourage cooperation in agriculture and rural development. 2. Areas in which cooperative activities could be considered include, but are not limited to, agricultural and rural development policy, geographical indications, diversification and restructuring of agricultural sectors and sustainable agriculture. The Parties agree to foster cooperation, at the national and international level, on sustainable forest management and related policies and regulations, including measures to combat illegal logging and related trade, as well as the promotion of good forest governance. 1. The Parties shall strengthen dialogue and cooperation on issues of common interest in the areas of fisheries and maritime affairs. The Parties shall aim to promote long-term conservation and sustainable management of marine living resources, exchange information through regional fisheries management organisations ('RFMOs') and arrangements, and multilateral fora such as the Food and Agriculture Organization of the United Nations ('FAO'), promote efforts to prevent, deter and eliminate illegal, unreported and unregulated fishing ('IUU fishing'), implement ecosystembased management and promote research collaboration on marine and fisheries sustainability. (d) undertake their best efforts to facilitate membership of RFMOs, as deemed appropriate, where one Party is a Member and the other a cooperating Party. 3. The Parties shall hold a regular periodic dialogue in conjunction with other meetings at senior officials level in order to strengthen dialogue and cooperation as well as exchange information and experience on fisheries policy and maritime affairs. 1. The Parties agree to enhance cooperation in the field of employment and social affairs, including in the context of globalisation and demographic change. Efforts shall be made in promoting cooperation and exchanges of information and experiences regarding employment and labour matters. Areas of cooperation may include exchanges on employment policy, regional and social cohesion, social integration, social security systems, industrial relations, lifelong skills development, youth employment, health and safety at the workplace, non-discrimination and equality including gender equality, as well as corporate social responsibility and decent work. 2. The Parties reaffirm the need to promote full and productive employment and decent work as a key element of sustainable development and poverty reduction. In this context, the Parties recall the International Labour Organization ('ILO') Declaration on Social Justice for a Fair Globalization. 3. The Parties reaffirm their commitments to respecting, promoting and realising internationally recognised labour and social standards, as set out in the ILO Declaration on Fundamental Rights and Principles at Work. 4. The forms of cooperation may include, inter alia, specific programmes, projects and initiatives, as mutually agreed, as well as dialogue on topics of common interest at bilateral or multilateral level. The Parties agree to encourage mutual cooperation, information exchange and the sharing of policy experiences in the fields of health and effective management of cross-border health problems. 1. The Parties may complement this Agreement by concluding specific agreements or arrangements in any area of cooperation falling within its scope. Such specific agreements shall be an integral part of overall bilateral relations as governed by this Agreement. 2. This Agreement shall not affect or prejudice the interpretation, operation or application of other agreements between the Parties. In particular, the dispute settlement provisions of this Agreement shall not replace or affect in any way the dispute settlement provisions of other agreements between the Parties. 3. The Parties recognise that a case of special urgency as defined in Article 57(7) could also serve as grounds for the suspension or termination of other agreements between the Parties. In such circumstances, the Parties shall defer to the dispute resolution, suspension and termination provisions of such other agreements to resolve any such dispute. 1. The Parties hereby establish a Joint Committee consisting of representatives of the Parties. 2. Consultations shall be held in the Joint Committee to facilitate the implementation and to further the general aims of this Agreement, as well as to maintain overall coherence in EUAustralia relations. (i) adopt decisions, where appropriate, to give effect to specific aspects of this Agreement. 4. The Joint Committee shall operate by consensus. It shall adopt its rules of procedure. It may set up sub-committees and working groups to deal with specific issues. 5. The Joint Committee shall normally meet once a year in the Union and Australia alternately. Special meetings of the Joint Committee shall be held at the request of either Party. The Joint Committee shall be co-chaired by both Parties. It shall normally meet at the level of senior officials but may meet at ministerial level. The Joint Committee may also operate by video or telephone contact and exchange of information by email. 1. In the spirit of mutual respect and cooperation embodied by this Agreement, the Parties shall take any general or specific measures required to fulfil their obligations under the Agreement. 2. The Parties agree to consult as quickly as possible, upon request by either Party, concerning matters of difference which may arise in the implementation of this Agreement. If there is a divergence of view in the application or interpretation of this Agreement, either Party may refer the matter to the Joint Committee. The Parties shall present all information required for a thorough examination of the issue to the Joint Committee, with a view to resolving differences in a timely and amicable manner. 3. In a case of special urgency, either Party shall immediately refer the matter to the Joint Committee and present all the information required for a thorough examination of the situation, with a view to seeking a timely and mutually acceptable resolution. Should the Joint Committee at the level of senior officials be unable to resolve the situation within a period of up to 15 days from the commencement of consultations and no later than 30 days from the date of the referral of the matter to the Joint Committee, the matter shall be submitted to ministers for urgent consideration for a further period of 15 days. 4. In the unlikely and unexpected event that no mutually acceptable solution has been found after 15 days from the commencement of consultations at the ministerial level and no later than 45 days from the date of the referral of the matter to the Joint Committee, either Party may decide to take appropriate measures with regard to this Agreement, including the suspension of its provisions or its termination. The Parties recognise that a case of special urgency may also serve as grounds for taking appropriate measures outside this Agreement, in accordance with the rights and obligations of the Parties under other agreements between the Parties or under general international law. In the EU, the decision to suspend would entail unanimity. In Australia, the decision to suspend would be taken by the Government of Australia in accordance with its laws and regulations. 5. The Parties agree that any decision to take appropriate measures in accordance with paragraph 4 must be duly substantiated. The decision shall be notified immediately to the other Party in writing. The Parties agree that any such measures must be proportionate and must be consistent with Article 55(2) as well as with the general principles of international law. 6. If any measure is taken in accordance with paragraph 4, it shall be revoked as soon as the reason for taking it has been removed. The Party invoking paragraph 4 shall keep under constant review the development of the situation which prompted the decision and shall withdraw the measures taken as soon as warranted. 7. The Parties agree, for the purpose of the correct interpretation and practical application of this Agreement, that the term 'case of special urgency' means a particularly serious and substantial violation of the obligations described in Articles 2(2) and 6(2) of this Agreement by one of the Parties leading to a situation which requires an immediate reaction by the other. The Parties consider that a particularly serious and substantial violation of Article 2(2) or Article 6(2) would have to be of an exceptional sort that threatens international peace and security. 8. In cases where a situation occurring in a third country could be considered equivalent in gravity and nature to a case of special urgency, the Parties shall endeavour to hold urgent consultations, at the request of either Party, to exchange views on the situation and consider possible responses. For the purposes of this Agreement, the term 'the Parties' means the Union or its Member States, or the Union and its Member States, in accordance with their respective competences, on the one hand, and Australia, on the other. 1. When implementing aid programmes in the context of their development cooperation policies, the Parties shall cooperate to prevent and fight irregularities, fraud, corruption or any other illegal activities to the detriment of the Parties' financial interests. 2. For this purpose, the competent authorities of the Union and of Australia shall exchange information, including personal data, in accordance with their respective legislation in force, and, at the request of one of the Parties, shall conduct consultations. 3. The European Anti-Fraud Office and the competent Australian authorities may agree on further cooperation in the field of anti-fraud, including the conclusion of operational arrangements. 1. The Parties shall give appropriate protection to information shared under this Agreement, consistent with the public interest in access to information. (b) be otherwise contrary to the public interest. 3. In the event that information of the kind referred to in this Article is shared, the receiving Party shall only release or disclose such information with the consent of the other Party, or where it is necessary to comply with its legal obligations. 4. Nothing in this Agreement is intended to derogate from the rights, obligations or commitments of the Parties under bilateral agreements or arrangements concerning classified information exchanged between the Parties. 1. This Agreement shall enter into force thirty days after the date on which the Parties have notified each other of the completion of the legal procedures necessary for that purpose. 2. Notwithstanding paragraph 1, Australia and the Union may provisionally apply mutually determined provisions of this Agreement pending its entry into force. Such provisional application shall commence thirty days after the date on which both Australia and the Union have notified each other of the completion of their respective internal procedures necessary for such provisional application. 3. This Agreement shall be valid indefinitely. Either Party may notify the other in writing of its intention to denounce this Agreement. The denunciation shall take effect six months after the notification. The notifications made in accordance with Article 61 shall be made to the General Secretariat of the Council of the European Union or to the Department of Foreign Affairs and Trade of Australia, or their successor organisations. This Agreement shall apply, on the one hand, to the territories in which the Treaty on European Union and the Treaty on the Functioning of the European Union apply and under the conditions laid down in those Treaties, and, on the other hand, to the territory of Australia. This Agreement is drawn up in duplicate in the Bulgarian, Croatian, Czech, Danish, Dutch, English, Estonian, Finnish, French, German, Greek, Hungarian, Italian, Latvian, Lithuanian, Maltese, Polish, Portuguese, Romanian, Slovak, Slovenian, Spanish and Swedish languages, each text being equally authentic. (1) Australia can agree to the use of the term 'consular protection' in this Article, in place of the term 'consular functions', on the understanding that the former covers the functions referred to in Article 9 of Council Directive (EU) 2015/637 of 20 April 2015 on the coordination and cooperation measures to facilitate consular protection for unrepresented citizens of the Union in third countries and repealing Decision 95/553/EC and that these functions include the provision of emergency passports and/or travel documents.